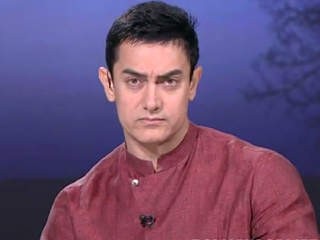 Aamir Khan’s show Satyamev Jayate did not highlight doctors who provide free treatment or those wrongly assaulted by patients, Medscape India claimsAn umbrella body of 21 medical institutions Wednesday asked Bollywood star Aamir Khan to apologise for accusing doctors of malpractices in his TV talk show Satyamev Jayate. Medscape India said the representation of malpractices supposedly perpetrated by doctors was “rather sad” and Aamir should offer his apologies. “It is rather sad that doctors should be made the object of such shameless, unilateral scrutiny,” said Himanshu Mehta, co-founder and advisor to Medscape India. After highlighting social issues affecting Indian society, Aamir Khan, in the fourth episode of Satyamev Jayate, turned the spotlight on healthcare and malpractices in the medical profession. He highlighted unethical practices, corruption and scandalous revelations in medical treatment. Aamir Khan is my favourite actor and he should stick to making films,” said Dr Sunita Dube, president of Medscape. “Surprisingly, no doctors’ body has spoken against Aamir yet. We need to stand united against such blatant lies. We are going to write a scathing letter demanding an apology from him,” she added. Medscape pointed out that doctors were subjected to assault without any fault and many people didn’t understand the pressures of the profession. “Where is Aamir Khan when doctors are assaulted? Where is he when we give free treatment to the needy?” asked Dr Kishor Taori, president of the Maharashtra Medical Council that is associated with Medscape.